HCM CITY — The HCM City People’s Committee has more than doubled the fee for household garbage collection. The rate, expected to take effect next year, will increase from the current VNĐ20,000 (85 cent) to VNĐ48,000 ($2.1) a month for households with five people and generating 120kg of waste. 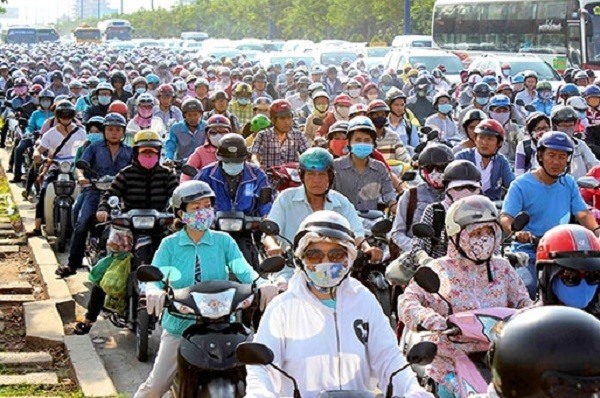 “The current rate has been in effect for a long time and the State budget has to spend a lot of money on subsidies for this work,” a spokesman for the city Department of Natural Resources and Environment told Thanh Niên (Young People) newspaper. According to Dr Nguyễn Trung Việt, an expert on solid waste, said each year the city has to spend around VNĐ1 trillion (US$43.5 million) on garbage collection and transport, and another VNĐ1 trillion ($43.5 million) to treat it. Đỗ Anh Khang, deputy chairman of the Gò Vấp District People’s Committee, said there should be different tariffs depending on the distance between the house and waste treatment plant. He said 60 per cent of garbage in the city is collected by individuals. “They transport garbage in all kinds of vehicles and not at fixed hours, and people have the bad habit of always dumping their garbage on the street outside their houses. “We should have clear regulations about the time and locations for dumping garbage. If people come and dump their waste too early, they should be punished.